Eastern culture meets western splendour in this comprehensive tour that spans the beautiful lands of Canada. Immerse yourself in the hospitality and history found housed in each province as you journey through natural beauty and wondrous landmarks from one city to the next. See the numerous landmarks of the bustling city of Toronto. Ride aboard an Ice Explorer across the frozen surface of the Athabasca Glacier. Watch the rushing waters of Niagara Falls as they plummet to its base below. Embark on several helicopter and floatplane tours to view the gorgeous landscape from above. Enjoy a delicious local dinner at the amazing Capilano Suspension Bridge in Vancouver. 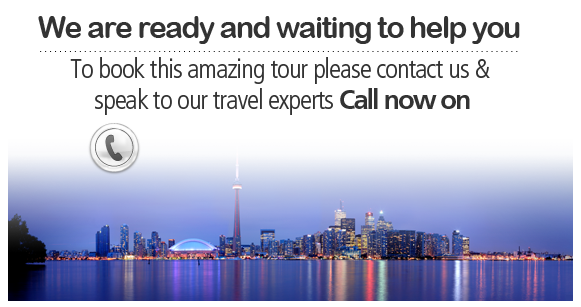 Arrive at Toronto and transfer to your centrally located city. After check in, your day is free to explore or relax. Get to know your travelling companions better over breakfast before embarking on an exploration of the eclectic city. Wander the streets of the downtown area and residential districts. Some of the landmarks you’ll see include City Hall, Casa Loma, the Eaton Centre, Yorkville, and the University of Toronto. 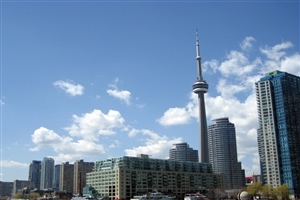 Drive past the tall CN Tower, Rogers Centre, and the Harbour front to get a rounded out view of the city. Spend the remainder of the day at your leisure to discover the city. Make an early start heading eastwards following the shore of Lake Ontario. Pass by a vast landscape of rolling meadows and farmland before coming across the Thousand Islands Resort region to board a cruise. After marvelling at the sights and sounds of the maritime splendour, hop back aboard the tour coach for a ride to Montreal. This morning, you will have chance to discover the highlights of Montreal, a city which encapsulates the two founding cultures of Canada, boasting an interesting blend of history and modernity. 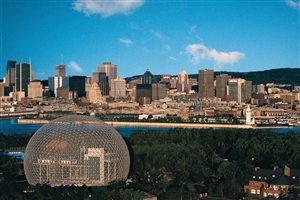 As you cross the city you will come across the Olympic Complex, McGill University, Mount Royal, and Old Montreal. Spend the afternoon at leisure, taking an optional dining trip to a renowned Greek restaurant at the ‘Montreal by Night’ experience. Depart this morning for the cosmopolitan ambiance of Montreal, following the route of the Chemin du Roy, Canada’s first ever carriageway. Bask in the cultural landscape as you pass through charming French-Canadian villages and towns. 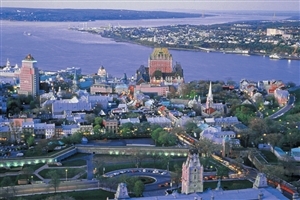 Once inside the ancient walls of Quebec City you are welcome to a tour that showcases Lower town, the Citadel, the ornate gateways and Battlefields Park. Spend the day at your leisure to uncover the charm of the city on your own. Enjoy an excursion to Tadoussac which includes a whale watching trip on the St. Lawrence River aboard a boat. You will also have chance to witness the amazing Montmorency Falls, a cascading wonder that stands 30 metres higher than the famous Niagara Falls. Afterwards, the remainder of the day is at your leisure to explore the narrow streets and special boutiques. Follow along the shore of St. Lawrence heading west past Montreal to Ottawa, the nation capital. Stop for a lunch at the Sucrerie de la Montagne sugar shack before arriving into Ottawa. On arrival embark on a tour of the city, stopping by the Rideau Canal, the Parliament Buildings, and the residences of the Prime Minister and the Governor General before spending the rest of the day at leisure. Enjoy the experience today of the Turtle Island aboriginal experience breakfast on Victoria Island. Explore the city by yourself in the afternoon, possibly visiting any of the myriad of galleries and museums dotted around the city. Travel west from Ottawa, a scenic voyage that features dense forests, rushing streams, shimmering lakes, and northern towns. The highlight of the day comes in the form of a visitation to Algonquin Provincial Park where you can tour along the trails. The summer months prove this area to be a oerfect camping destination due to the abundant wildlife and immense foliage. Enjoy the beauty of the Muskoka region as you pass through on our way to Midland. Arrive in Sainte-Marie Among the Hurons this morning for breakfast. This enthralling three-acre historic site is a detailed reconstruction of the first inland European community in Canada. Continue south past Toronto and on through the Niagara Peninsula’s vineyards and orchards and ending at Niagara Falls. Ride aboard the Hornblower Niagara Cruise VIP Boat Tour to the base of the cascading falls. Ascend to the top of the Skylon Tower for a wondrous view of the falls and surrounding areas of Niagara. Take an optional helicopter tour for a unique view over the falls before spending the evening freely exploring the area. Follow the scenic Niagara Parkway through to the cultural village of Niagara-on-the-Lake where you can feel the preserved 19th Century atmosphere of this charming community. Head on back to Toronto for the last portion of the eastern half of the trip, celebrate this with a dinner at the CN Tower. 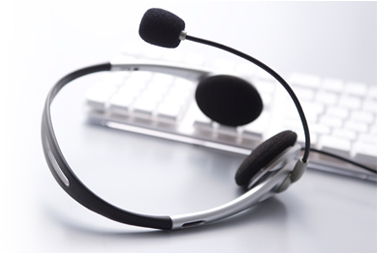 Transfer to Toronto airport for a flight to Calgary, crossing two thousand kilometres of wilderness and western wheatland before arriving at the city and transferring to your hotel. Start the day with a tour of Calgary before departing west on the Trans-Canada Highway heading for the foothills of the Rocky Mountains. 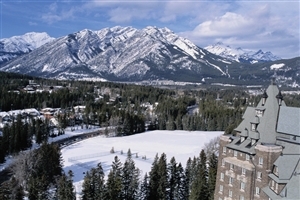 The horizon becomes home for the majestic mountains as you near Banff National Park, the first of several national parks. The splendid resort town of Banff welcomes you at the end of your day. Spend the day touring the region surrounding Banff, including an optional helicopter tour over the eastern ranges of the Rocky Mountains. Another options is a gondola ride to the stunning Sulphur Mountain for some awe-inspiring views. Spend the remainder of the day exploring Banff at your leisure. Leave Banff today to see the ever-popular shimmering waters of Lake Louise. Afterwards, travel north across the renowned Icefields Parkway, through rough wilderness on to the Columbia Icefields. Once here, you will have chance to ride in an Ice Explorer across the frozen surface of the ancient Athabasca Glacier. Take an optional raft ride on the Athabasca River as you get closer to Jasper, with your guide narrating about the history of the area as you traverse the rapids and calms of the river. Embark on an optional Spirit Island Cruise over Maligne Lake before leaving Jasper National Park today, or alternatively you can go on an optional motorcycle tour of Jasper, riding in the sidecar as you rush through the scenery. Once done, continue west along the Yellowhead Highway into the stunningly beautiful deep lands of British Columbia. The route takes you through the Shuswap Highlands and along the Thompson River. Watch the landscape shift before your very eyes as you progress from the ranch lands into the coastal mountains, with your trip along the Duffey Lake Road providing beautiful vistas. Take an optional floatplane tour over Garibaldi Park to witness the splendour of volcanic peaks, open meadows, and gorgeous lakes from above. Spend the remainder of the day at leisure. Enjoy the spectacular coastal scenery today as you traverse the Sea-to-Sky Highway. Cruise on a ferry from Horseshoe Bay across the Georgia Strait over to Vancouver Island where you will coach over to British Columbia’s capital city, Victoria. Once in the former British enclave, you can embark on a tour of the city. Victoria boasts a charming colonial air to it, featuring a number of 19th Century monuments and landmarks. Visit the beautiful floral designs of the Butchart Gardens and take an optional floatplane tour over downtown Victoria and the Strait of Juan de Fuca with a stunning backdrop of the Olympic Mountains. Another option is a whale watching excursion aboard a Zodiac or regular ship. The remainder of the day is yours to explore or relax at your leisure. Your final destination for the trip is reached via a comfortable cruise through the gulf islands to the coastal city of Vancouver. Once you have arrived, embark on a thorough tour of the city and its many landmarks, including English Bay, Stanley Park, Gastown, and Chinatown to name but a few. Afterwards, you can relax or explore as you wish before enjoying a farewell dinner at the Capilano Suspension Bridge in the evening. Spend the last few moments in Canada shopping and bidding farewell to your fellow travellers before transferring to Vancouver airport for your return flight home.